Whether you’re in search of a short-term Ocean Isle Beach condo rental to stay in for your vacation this summer or a long-term rental, we have a nice selection from which you can choose. We have both furnished and non-furnished long-term rentals. Our vacation rentals are all fully furnished with well-equipped kitchens and all the amenities you need for a great vacation. You can‘t go wrong when you make your reservations with Sloane Realty for a Ocean Isle Beach condo rental. We’re professionals and very knowledgeable about the area and the rentals that you’ll find here. There are always events and festivities taking place on the Brunswick Islands so if you don’t see something in particular listed here just ask us. On June 22, 2012 the Ocean Isle Beach Concert Series is under way from 6:30 p.m. – 8:00 p.m. Continental Divide performs on the stage in the parking lot at Museum of Coastal Carolinas on Ocean Isle Beach. On June 29, 2012 Holiday Band performs at this same location. These events are free and open to the public. 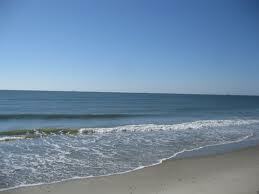 The Ocean Isle Beach 4th of July Parade will be held on July 4, 2012 beginning at 10 a.m. Decorated floats, golf carts and bicycles will be judged and prizes awarded. Line up in Museum of Coastal Carolinas parking lot at 9:30 a.m.